A tribute to the late, great “Liberal Lion” of the Senate whose dream of a more compassionate nation will never die. 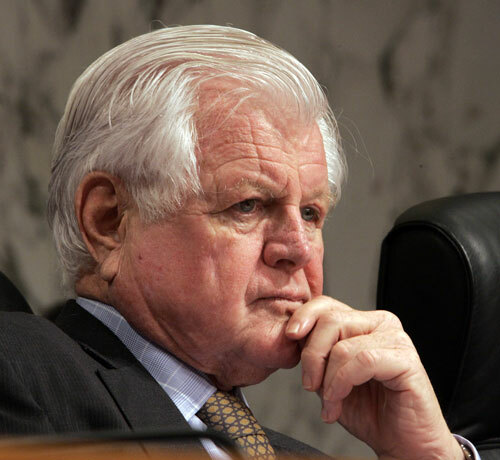 The late Sen. Edward Kennedy was a fighting liberal; a passionate and exuberant lion to the very end–often among timid cubs. He will be remembered as the best and most effective senator of the last century. 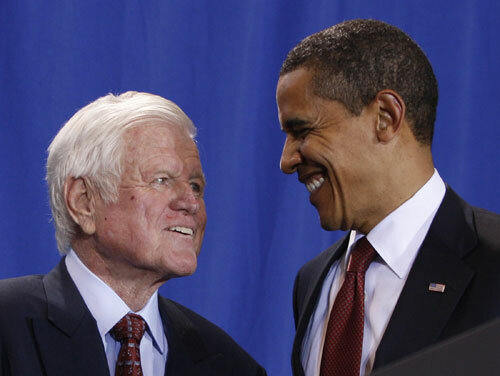 Kennedy helped shape virtually every major piece of legislation, with his powerful commitment to civil rights, labor rights and women’s rights–always fighting for equality, always standing with the underdog, the poor, the most vulnerable, who he believed deserved lives of dignity. 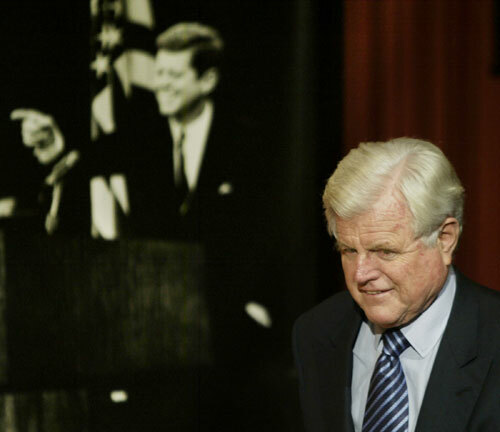 Born into the prominent and privileged Kennedy family, Ted Kennedy grows up in the formidable shadow of his ambitious older brothers. 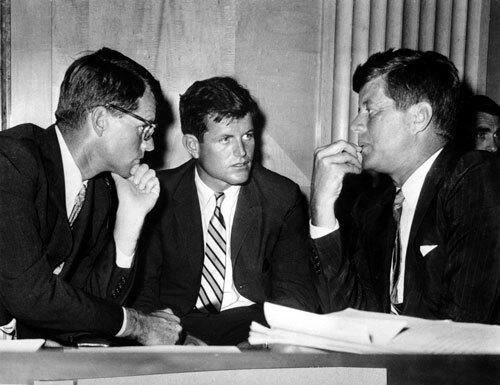 He is pictured here in 1959 with then Sen. John F. Kennedy and Robert Kennedy, who in just one year would be serving as US president and attorney general respectively. 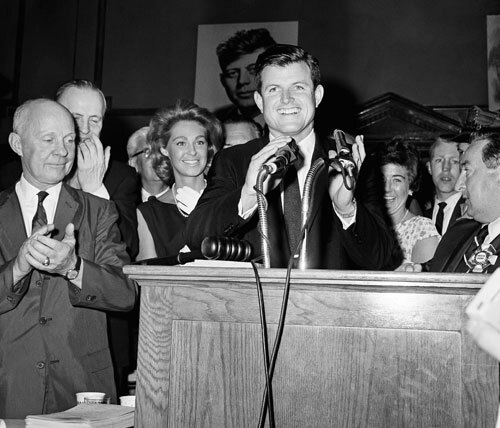 In 1962, Kennedy follows his brothers into politics, handily winning John’s former Senate seat in Massachusetts. At first there is a great deal of skepticism about the political acumen of a 30-year-old with little experience. 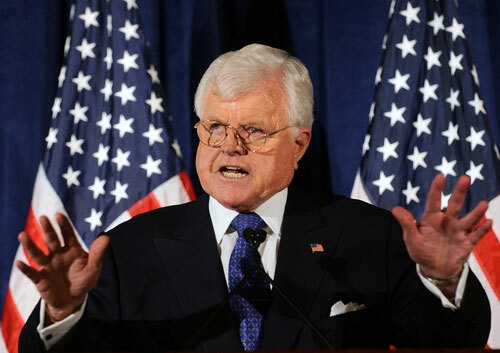 But Kennedy proves his detractors wrong, playing an instrumental role in the passage of Civil Rights Act of 1964, the Voting Rights Act of 1965 and host of other progressive measures. Following the tragic assassinations of President Kennedy in 1963 and Sen. Robert Kennedy in 1968, the public turns to Ted to fill the void and he receives tremendous pressure to enter presidential politics. Robert Sherrill writes that during the 1972 Democratic convention in Miami, Kennedy’s charisma steals the show. Yet he remains reluctant, sitting out both the ’72 and ’76 campaigns. 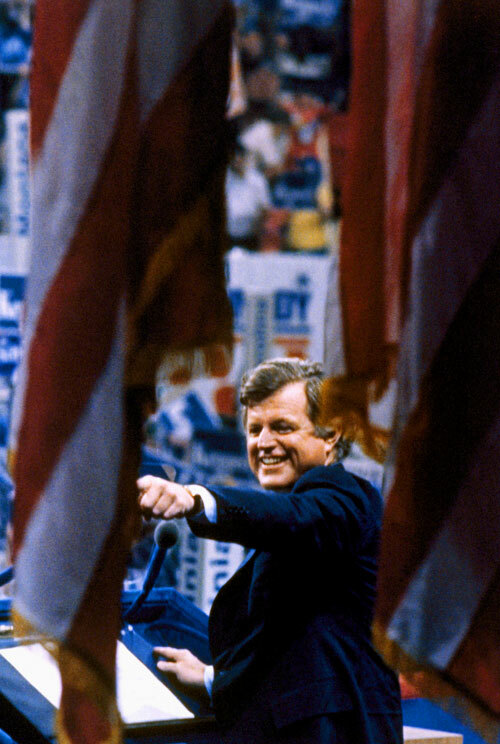 Finally in 1980, dissatisfied with President Jimmy Carter’s leadership, Kennedy enters the Democratic primary race in a longshot bid to unseat a sitting president. Despite winning several primaries and energizing the progressive base of the party, his campaign is ultimately unsuccessful. Still, his classic convention speech where he proudly states, “the work goes on, the cause endures, the hope still lives and the dream shall never die,” inspires millions of people. 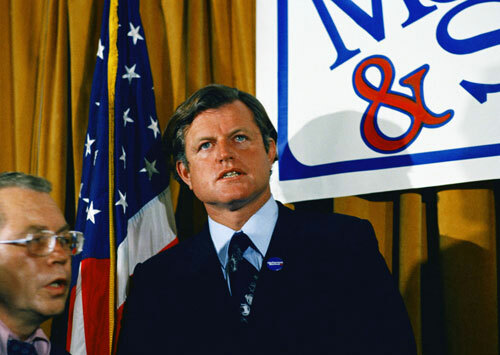 In the mid-1980s Kennedy declares “the pursuit of the presidency is not my life. Public service is.” He makes good on this statement by acting as an invaluable counter to President Reagan’s reactionary agenda in the Senate. 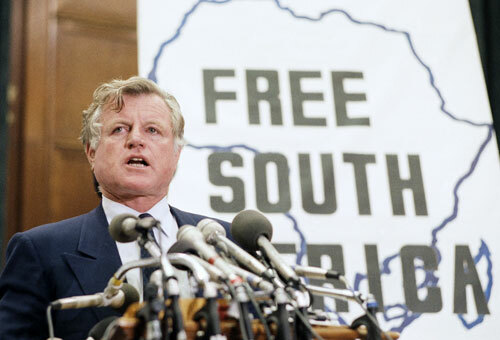 His accomplishments during this period include pushing through sanctions against the apartheid government of South Africa and defeating the Supreme Court nomination of Robert Bork. The Clinton era is an especially prolific period for Kennedy on the legislative front. 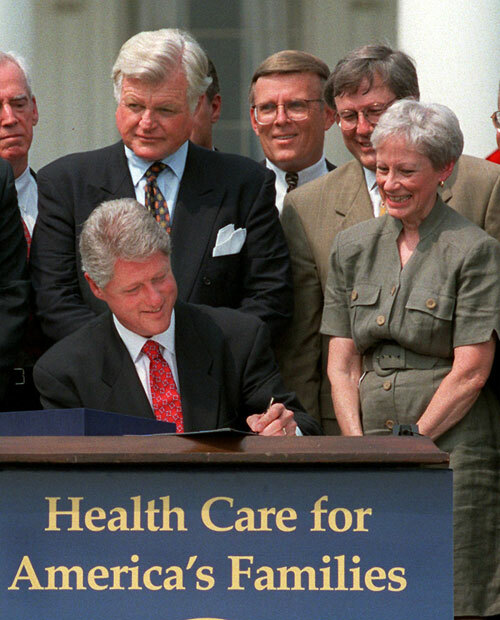 His leadership ensures the passage of the Family and Medical Leave Act in 1993, the Health Insurance Portability and Accountability Act in 1996 and expansion of children’s health insurance (S-CHIP) in 1997. Kennedy emphatically says that his vote in opposition to the Iraq War in 2003 is the best vote he’s cast in forty-plus years in the US Senate. 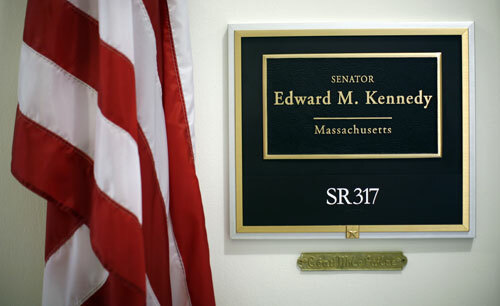 As the war continues to become a disastrous debacle costing the lives of thousands of American soldiers and countless numbers of Iraqi civilians, Kennedy remains a strong, intelligent voice of dissent. The Bush years are particularly disheartening for Kennedy. In 2004 he sees two Senate protégés, John Kerry and John Edwards, suffer a narrow defeat in their effort to unseat President Bush. Many wonder if the progressive era President Kennedy seemed to herald would ever come, but Kennedy remains hopeful and vigilant. Yet in 2008 tragedy struck the Kennedy family yet again, as Ted is diagnosed with a malignant brain tumor which is all but certain to end his life prematurely. Still, Kennedy remains in good spirits and fully invests himself in that fall’s presidential campaign. 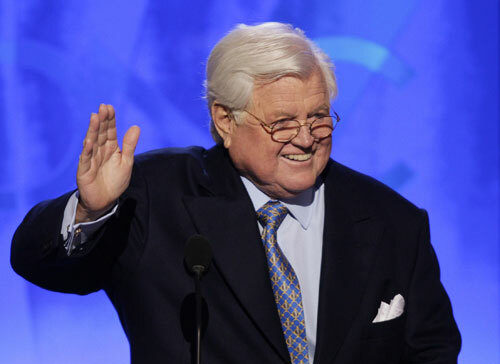 On August 25, 2009, Kennedy succumbed to complications from his brain tumor at the age of 77. Sadly, he did not live to see his dream that “every American–north, south, east, west, young, old–will have decent quality healthcare as a fundamental right and not a privledge,” realized. Yet President Obama and the Democrat-controlled Congress can view Kennedy’s passing as a call to action, a crucial moment for Obama’s presidency and the future of healthcare reform.